Look at these two sets of learners and imagine that each group is on a training course. Group 1 looks at lots of PowerPoint slides and does lots of listening while the trainer talks. The environment is bland and corporate. They are static and only move around during breaks, when they eat sugar-laden snacks, drink caffeine-laden drinks, and eat lots of bread and cakes at lunchtime. The occasional group-work activities involve discussing topics, writing their thoughts on flipcharts and then feeding it back to the group. They also do individual work where they complete sections of a workbook. The workbooks are in black and white and are mainly made up of lots of dense text. Now consider – which group will stay most alert and engaged, create the strongest memories, learn at a deeper level, and put more of its learning into practice? Create immersive learning experiences: Our brains are designed to learn on many levels at once (colour, shape, movement, intensity, emotion etc.) and to thrive on multi-modal experiences. Learning works best when there are many types of input and stimuli rather than through traditional “talk and chalk” training. Create an enriched environment: People learn better in an environment where they feel relaxed, their senses are stimulated, and they have opportunities to move around. Find a brain-friendly venue (see right-hand side panel), and enhance the space using posters, fiddle toys, flowers, brightly coloured paper etc. 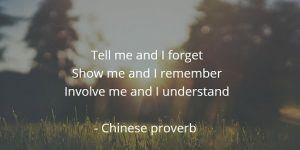 Enable discovery: Don’t tell people what they need to learn – create activities which enable them to discover the answers for themselves. People learn best when they carry out challenging, novel, and complex activities which require multi-tasking and thinking time, along with reflection and discussion. Generate positive emotions: Emotional arousal produces hormones which help us to create and retain memories. Laughter boosts our alertness and memory, and positive emotions enable us to make sense of our experiences, create better perceptual maps, and remember more clearly. Get people moving: The part of the brain that processes movement is the same part of the brain that processes learning. Standing up increases the heart rate, provides 15% more blood to the brain, activates the central nervous system, and promotes neural firing. Physical exercise increases alertness, problem-solving, and creativity, and can increase memory and recall by 20%. Make it multi-sensory: When all our senses are engaged to create a whole mind/body experience we form long-lasting memories, our learning is deeply embedded, and we recall and use what we’ve learnt very quickly and easily. Our sensory organs are “the window to the brain” and the more sensory stimulation we receive, the more neural connections are made and the organisation and functional activity of our brain are improved. See 72 Ways to Make Learning Multi-Sensory on the right-hand side panel. Some trainers and facilitators may shy away from using these approaches, particularly with senior managers. However all the evidence shows that training which gives people the opportunity and permission to explore, play, and experiment, whatever their age, position, or level of authority, is essential to real, deep learning, and we all have a responsibility to put these approaches into practice. Learn how and build your confidence through our Transforming Training courses, or use TetraMap to create engaging, inspiring learning experiences. Learn more about how TetraMap can be used in your organisation by contacting us today or, if you’re in the UK, get in touch with Nicki Davey to discuss a customised programme. Great to be reminded about the remarkable difference between active, holistic learning and the passive, predictable version that’s too often served up. It’s one of the ways we show people the difference TertaMap can make – we’re demonstrating it! The 3-dimensional tetrahedron is visual and tactile, and the use of metaphor creates powerful images and memories. TetraMap enables facilitators to take learners on a shared journey of discovery together so that they generate their own learning. 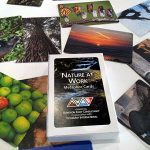 Its principles are easy to grasp but rich enough for people to learn at many levels and apply to their own situation, and it is easily incorporated into experiential, participative, brain-friendly training activities. Food for learning: What people eat has a very significant influence on their ability to learn. Here are some key facts on what foods to provide to improve effectiveness. Brain-friendly training venues: The environment in which you deliver your training has a big impact on learners. Here are the top 6 questions to ask when choosing a venue. 72 ways to make learning multi-sensory: Research shows that stimulating all of the senses has a profound effect on learning. 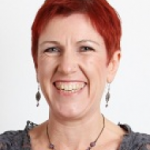 Nicki Davey is the Director of Saltbox Training and Events which was set up in 2009 to help individuals and companies to perform better, achieve more, and be happier and healthier. She is also a Master TetraMap Facilitator.